I’m excited to share with you an email I just received from John who lives in London. 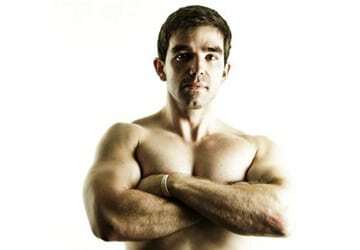 John just completed my 8-Week Transformation Program and kindly shared his experience and praise. 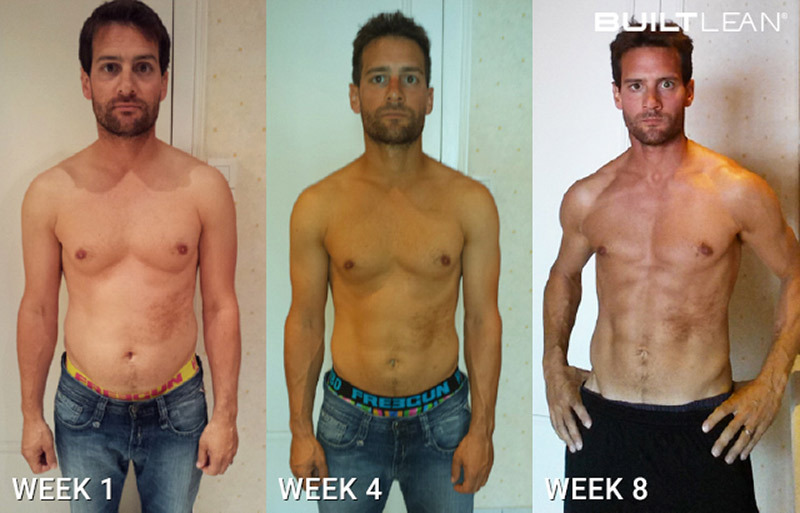 John’s transformation is certainly among the best I’ve seen in only 8-weeks. 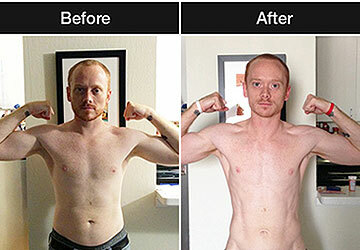 As you can see from his photos, he went from flabby to a shredded six-pack. AWESOME results. I had worked in London for 7 years and my job required an entertaining lifestyle of eating and drinking, which had more than caught up with me…it was starting to weigh me down…literally. To curb the pounds I was putting on, I started running during lunch, and even committed to a dry month of January. This saw me go from 72kg to 69kg, results which I thought at the time were amazing. It wasn’t until I finished the 8 week BuiltLean program did I realize how much more running I would have had to do in order to look this lean! I went from 71kg at the end of May to 63kg in the space of 8 weeks, but definitely put on loads of muscle at the same time. My body fat dropped from 26% to 13% (maybe lower at finality) at week 7. The exercise and nutrition programs were easy to follow, but you have to be mentally motivated and physically willing to transform your body. If you are, this program will give you all the results you want to achieve. Not only have I lost fat and gained muscle, but I’ve also learned how and what to eat to have a healthy lifestyle. 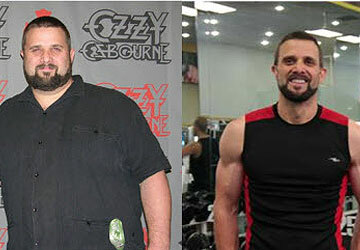 Amazing transformation indeed! Congratulations. I am on week 3 and i see great progress. Keep up the effort Dave. It’s all worth the hard work. The guy looks great. But why is he three totally different skin tones? I didn’t even notice that. I think it’s just the different contrast levels of the camera. These photos weren’t taken professionally of course. Maybe John can chime in. Marc: Really enjoy these articles, and the effort put forward is remarkable. But I would like to see and learn more about a timetable for transformations of 50 and 60 yr olds. This type of response and recovery from exercise over a short 8-week period for a 30-something is much less realistic for a 60 year old body which takes substantially longer to recover. It has taken this 62 yr old three years of clean eating, lifting, interval training and walking to drop from 165 to a lean and more muscular 145. THanks for pointing that out. Not only is age different, but there is also training age and simply genetics variation. Some people, regardless of age, lose fat faster, or gain muscle faster based on genetic differences and whether or not they are beginners. Congrats on your success. I’m sure the lighting wasn’t exactly the same in all three photos. Plus I’m sure he’s taking his shirt off a lot more now! TJ is correct. Different lighting and it is summer, so I was getting a bit more sun with my shirt off. Well done John. You are an inspiration. The results speak for themselves. Prolly cuz when you start getting a six pack you take your shirt off more..
Iam from Republic of South Africa and reside in Cape Town,what programmes do you have in order to get me to loose weight. I am 42 years old, weight 102kg. bmi is 33, my height 1.78 metres. waist hip ratio 96. how can I buy your programmes an what will be the best for me. Hey Errol – You can buy the program by going to the sales page and clicking the “Get Started Today” button => 8-Week BuiltLean Program. 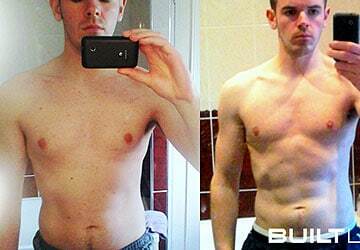 We have a success story from Africa here => Wilhelm’s Body Transformation. I think you have to use your own best judgement to figure out if the program looks like a good fit for you. @Gagan – If I were you, I would create more precision with my nutrition program and make sure I was eating less calories than I was burning. Both calorie quantity and quality are important. But ultimately, you must eat less calories in order to lose body fat, it’s a law of nature. Here’s an article that may help you => How Many Calories Should I Eat To Lose Weight?. I’m happy to see you are on the BuiltLean newsletter, I think that’s a smart move. Having done the program quite sometime ago, this inspires me to redouble my efforts and continue to maintain and improve! Re age and genetic differences, us women over have our own challenges especially now that I am 65. This reminds me it is simply an adjustment or shift at any age to get the job done. Thanks for the article and all the great info. i have a question that is not based on this article,but i hope you can answer it anyway i read on one site that the less you eat the more your metabolism slows down and that your organisams primary function is to survive so it turns everything you eat into fat i want to know what do you think of that? @david – Your metabolism may drop if you eat less calories (see starvation mode), but the turning everything you eat into fat part is not factually accurate to my knowledge. Any calories that you consume while keeping a calorie deficit will be used to ensure the continued functioning of your body (organs, movement, etc.). For more on calorie burn, you can also check out this article => How To Calculate Calorie Burn. Hi Marc! Can a female use this program or is this strictly for men? Thanks in advance! @Erica – Women can use this program. It is marketed towards men, but there are nutritional options and menus for women in the nutrition guide. If you have any other questions, just let me know, or you can contact [email protected]. Thanks for your interest! Thanks Eric. 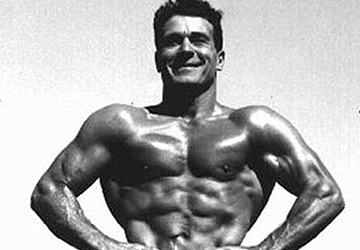 The Builtlean program also taught me how to eat well, even when going to restaurants or out with mates, so I have been able to keep the lean look even though I “finished” the program. It really was a program that taught me more than just exercise.